What makes your wedding come together is your vendors. I believe there are 8 necessary vendors in a modern wedding. 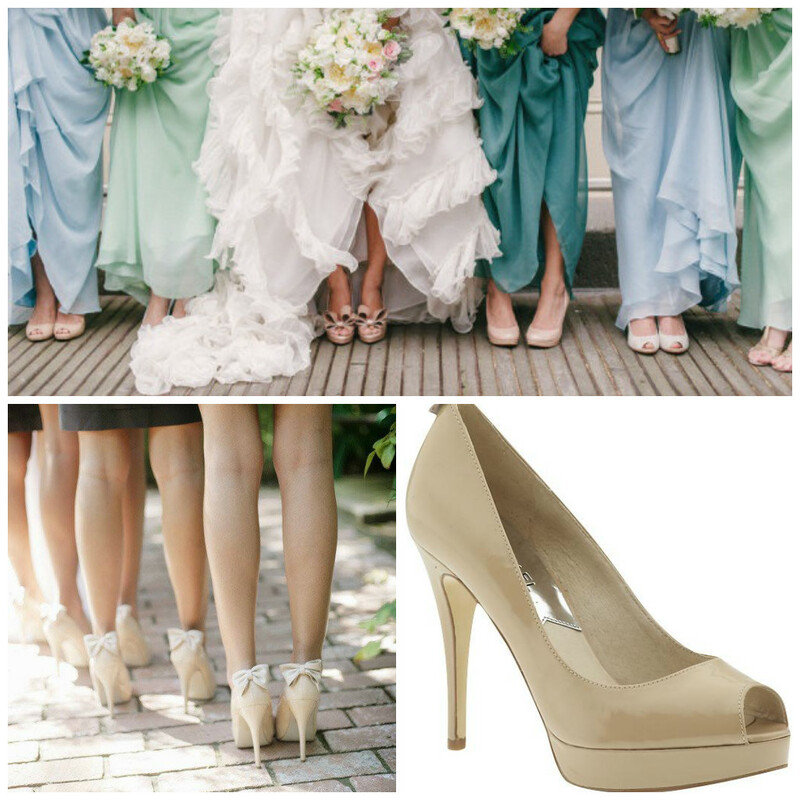 Of course they may not be necessary for all brides, but these are the 8 I decided to have for my own wedding. 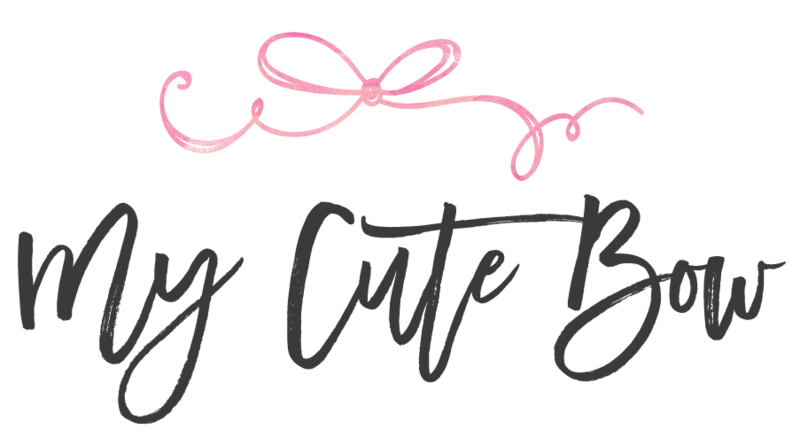 I added some of my experience with dealing with these vendors throughout my wedding planning, feel free to skim through the bridezilla ranting! The very first thing you do when you start wedding planning is find your perfect venue. 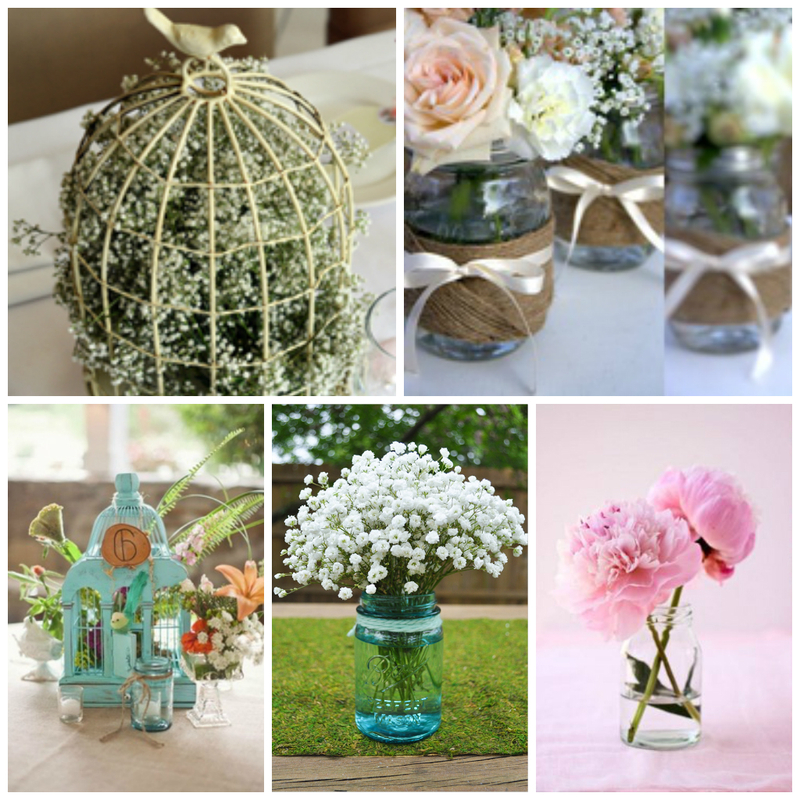 It's going to be the theme, style, and atmosphere that you set for your wedding. Do you want to be grand, opulent, and large or do you want to be rustic, vintage, and sweet? I already posted about my venue searching experience, which you can read HERE. 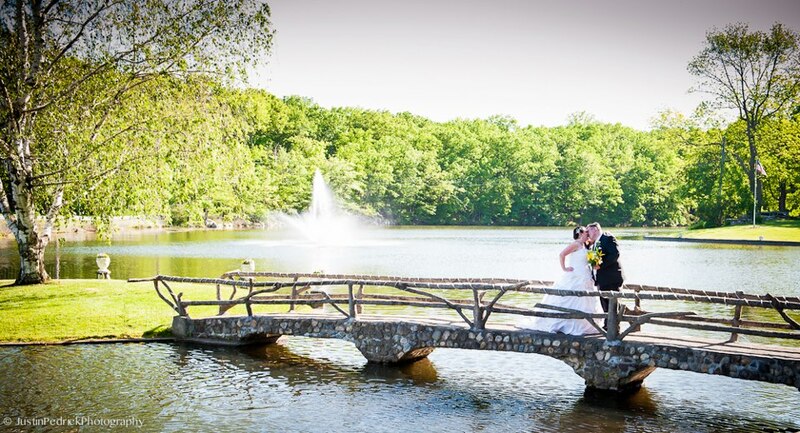 I had my first appointment in January 2014 at Perona Farms. After visiting 2 more venues, I decided to make my second appointment at Perona Farms two weeks later and booked with them. I negotiated $5 off the per person price, and added $2 to upgrade a food station (they couldn't just throw it in for me??) It was pretty difficult to negotiate favorable terms with them, but I guess they are firm on prices when holiday weekends are in demand. One hiccup that has happened so far, was when my event coordinator emailed to tell me another couple has picked the same ceremony spot as us BEFORE my ceremony time. Are you kidding me? There are 5 ceremony spots and you just had to pick mine. Why couldn't Perona just tell them that it was booked that day already. They are trying to take advantage of pleasing another couple by giving them their favorite spot, while pushing me aside because I booked at 5:30pm already. Mind you, that it was my event coordinator who suggested me that time frame when I asked what is a good time. If I had known they would weasel in a 4pm ceremony I would have chose an earlier ceremony time! I was pretty furious. But my event coordinator assured that their staff will now assist in all my decorations and set it up in time for my ceremony. Currently I am trying to waive the chair rental fee. If the couple prior to me are already renting the chairs for $4 per chair, why should I still have to pay a rental fee? Where is that money going to? If you are going to screw me over, don't screw me out of $400 too. And on top of that, I just found out my event coordinator no longer works there and we are assigned a new person. This new person says she's not sure if she'll be able to waive that for us. Do I get a reason? No. I will try to bring it up again in person when I visit again and see what they come up with. I am not a pushy, demanding customer, but I just like to get what's fair. Anyways, once the venue is booked, the rest should come easy. I already knew who I wanted to hire as my photographer. It is a good friend of mine, who also did a couple shoot of me and my fiance two years before we got engaged, see HERE. I suppose they could be considered our engagement photos? haha. She was so much fun to work with and made our photos look really natural. I am a really shy person, so I actually don't look forward to meeting new people and taking time to break the ice and get to know them. Looking for all these various vendors and meeting with them was the least exciting part of wedding planning. I'm glad I've known Yanshu for many years now. You really need to feel comfortable with your photographer to be able to feel relaxed and get great photos. I know she will capture all the moments on my wedding day. This was the easiest choice in my vendor decisions. Videography is also an important wedding day vendor. The videographer I had in mind is not available for my wedding date, due to personal reasons. It's disappointing because he is also a good friend of mine, which I also recommended to my sister for her wedding. Since we were not able to hire them, we decided to just save the money and not look further. I know having a video is the only thing we'll have to watch and relive our wedding day, so I hope I don't regret this decision. Entertaiment was probably one of the things I had no idea where to start (along with Minister!). Because to me, it's kind of all the same, party packages. I just knew I did not want a band/live music. I find those kind of dull and boring if they aren't someone I know. I rather be pumping to the music of Taylor Swift through the stereo. Since many entertainment companies have several DJ to pick from, and you really can't tell much about them from a short bio, maybe some video clips, and reviews, it's still going to be unpredictable on your wedding day. I was actually set on picking the same vendor my sister had, Elite Rythm Entertainment because they played good music and everyone had a lot of fun. I'm a little confused at entertainment pricing. ERE's basic package started at about $3200. Vendors I found on TheKnot ranged from $1400 and up, so I'm not sure what causes the huge price ranges. It was risky to pick a random one so I will just splurge on ERE, but it turns out they were booked already on my wedding date!! This was really disappointing because I am contacting them 1 year in advance. It's hard to judge how far in advance you need to book your vendors, but a reason they are probably booked early is because of the holiday weekend. It's not a huge loss because I can search for a cheaper package now. For no particular reason, I went with Elite Sound Entertainment. It was the only one we actually met up with, and they automatically assigned us to the only Asian DJ (coincidence?). But I actually prefer Asian because you feel a connection with them and I think he'll be able to connect with the majority of Asian guests. We told him our budget was $3000, and he showed us his packages and prices after including the uplighting we wanted, live musician for ceremony, and 4 hours of DJ/MC, it was $400 over budget. As if to give us a deal, he gave us a flat rate of $3000, which seemed reasonable. He casually slipped in the conversation that he was meeting another couple after the weekend, on Monday, for the same wedding day as us (coincidence again?) But playing it off like he doesn't want to look pushy or rush us, but kindly informing us. So it makes us wonder, what are the chances? Is he really meeting another couple for the same day? It wasn't a big deal if we booked with them or not, so we wanted to wait til he emailed us some samples from their cello player for our ceremony. On Monday morning, he texts me he suddenly realizes they offer special discounts for Sunday weddings. So he would throw in LED pillar lighting for free. Really?... I'm not sure if I should roll my eyes lol. But it worked, it sweetened the deal for me. When he told me about these flashing led lights, I can tell it really does make a difference in the party mood, but it was not something I would spend extra for ($850). At our meeting he mentioned they have a few of them in storage, and if they don't get rented out for that day, they go to waste anyway, and I would be able to get a discount if I was interested later, since I said no to them now. So he goes on to text that he has a meeting with the other couple at 2pm I think, and that if we want to book him we should do it before then. I didn't really like that he did that. He made us feel pressured. And was he really just going to blow off another couple right before their appointment?? What if they had a bigger wedding and more money to spend? Or was it that he was intrigued by our fun small wedding with no babies or old people that he really waned to be our DJ? But in a professional sense (cancelling your appointments), I don't think that other couple existed. I didn't want him to think he had "won" and fooled us, but I really had no preference what company I go with, and I believed I was getting a good package with the extras (I hope it is! ), so there was no harm booking with them that day. I agreed to his terms, he sent me a new contract, and I paid by phone with my credit card. Lesson learned: be aware of their sales tactics. 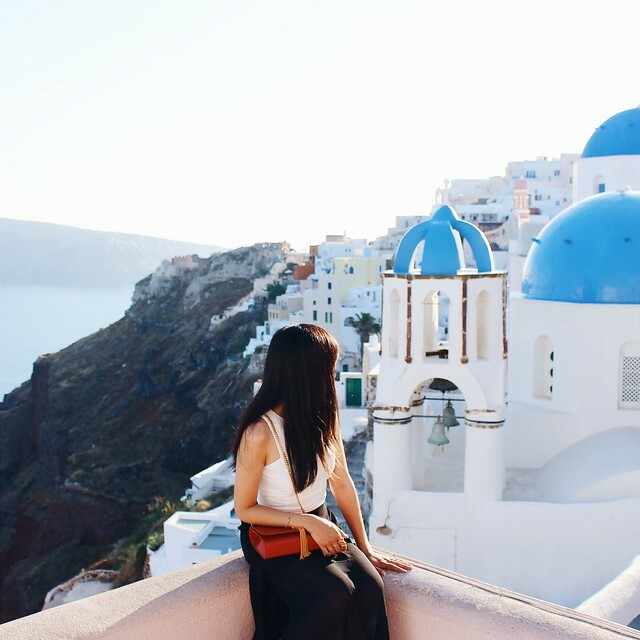 Don't feel pressured to book. I did it because I wanted to. Seemed like a win:win situation for everyone. This is another vendor choice that would have just overwhelmed me if I started looking too much. So to take the easy way out, I hired the hair & make-up artist who did my sister's wedding! 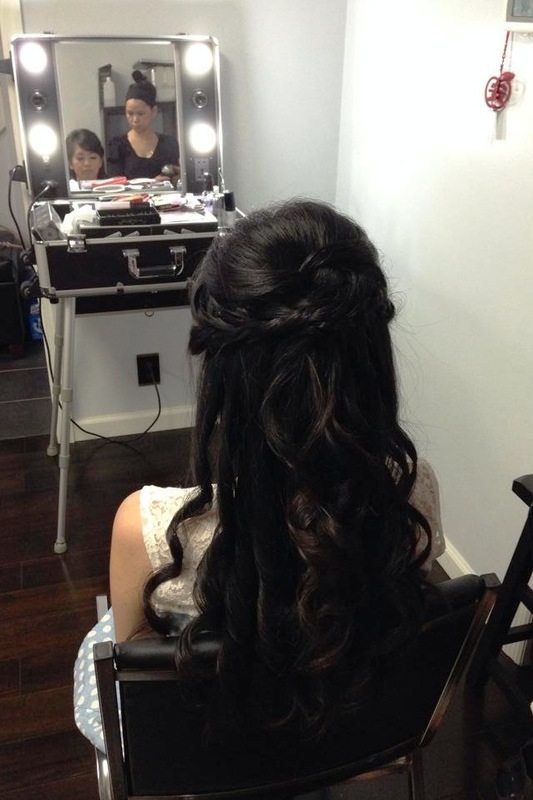 She is familiar with asian hair styling and make-up, speaks cantonese, and has worked on my hair when I was a bridesmaid. She does a good job. But to be honest, I feel prices were a bit high, after I looked into other artists. But I haven't worked with other ones before, and you gotta go through the time and effort to contact them, pay for a trial, etc. I just wanted to keep it simple and just book her. 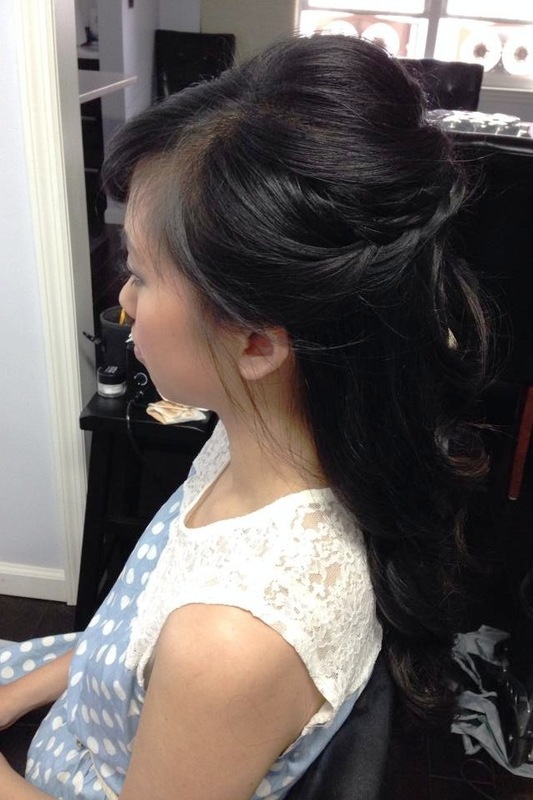 Unfortunately, when I was planning our hair trial day, she was also meeting with another girl before my trial date, that has the same wedding date as me. I believed this story! Because that girl also booked Coco and she will be going to the other girl, AFTER doing my hair first on the wedding day. She said I have to be done by 10:30/11am even though she knows I have a late ceremony. I'm assuming the other girl probably has a earlier or similiar ceremony time but she gets first dibs on what time she wants Coco because she happened to meet with her before me. Complicated, but I'm ok with that. My sister had her hair and make up done by 10am for her wedding since she had chinese door games and tea ceremony all day long before the 4:30pm ceremony. I just hope my hair and make up will stay in place until the ceremony. Me and my fiance are not religious so picking a minister was not easy among the sea of ministers available online. Where do you even begin? We have no preference, we just want a nice, simple ceremony. There are so many options out there, you just gotta close your eyes and pick a few to look at. Read up on them a little and then decide on a few to contact. Price is a determination because why pay more if they all do the same thing. Some may give a better experience but how can you really tell until you contact them and take time to get to know them. As long as they are a friendly and nice person, they will get the job done. The first person we scheduled to talk with, we instantly did not like. They did not think it was necessary to meet in person, so we spoke on the phone. We could tell he had a bit of an attitude and thought highly of himself. We went through the conversation and said our goodbyes. From his website he seemed great, but his attitude on the phone turned us off. Even when we wrote an email that we are not interested, he never wrote back. The second minister we decided to meet with, we can sense he was friendly on the phone. He was excited to find out my fiance lived nearby in Wayne, so we arranged to meet at Wayne Diner. He seemed like a jolly man with a sense of humor. We listened to his stories and guidance and felt comfortable with him. We decided to just go with him right away and paid our deposit. We don't want waste time looking any further if we met one we are satisfied with. One of the things we saved for last was visiting our bakery. Catering is an important vendor too, but since our venue includes catering (to make our lives easier) we did not have to look into it. 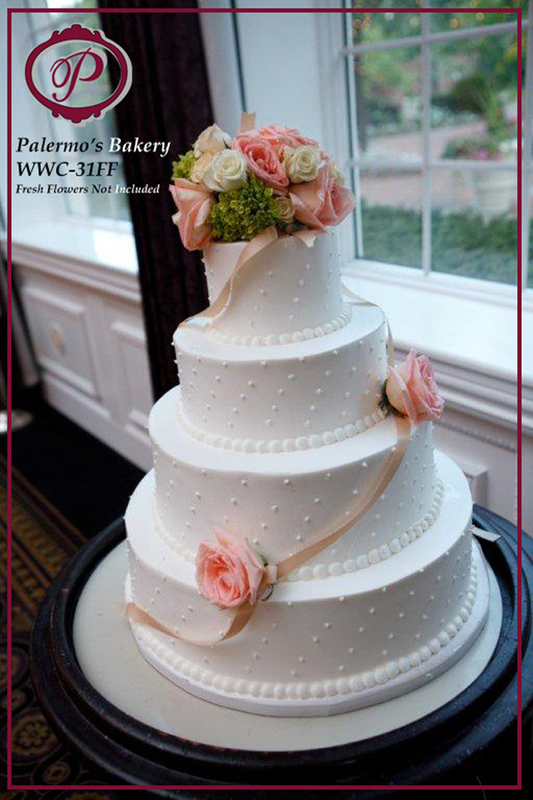 Our venue works with Palermo Bakery to make the wedding cake. We scheduled an appointment in September to pick out our cake. We looked through their standard cake designs and picked out a simple and chic 3 tier cake with dotted designs. They can do frosting flowers but if we want real flowers we will have to work with our florist on that. I am thinking to ask a friend to help me add fresh flowers and a ribbon around it, hopefully that'll work out. They brought out 2 plates full of small samples of each of their cake flavors. It was fun to taste all the flavors and we decided to go with vanilla cake with 2 of the tiers with dulce de leche mousse center and the middle tier with chocolate fudge center. The outside will be buttercream frosting. I think fresh flowers are a waste of money since they wilt and die in a few days. They are also so expensive for what you get. 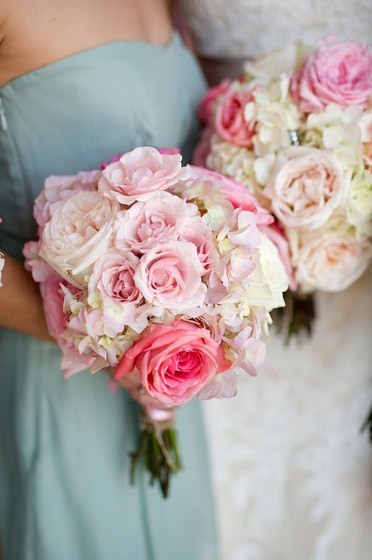 Therefore, I had no preference on a florist and just wanted nice flower arrangements for the bridal party at least. I went to a bridal show at Perona Farms in February and collected a few contacts so I started from there. One of the booths called Floriography had a flyer that offered 10 free cocktail hour fishbowl centerpieces and sweetheart table arrangement if you booked with Perona Farms. That was a very attractive offer since I plan to make my own centerpieces and not purchase any other floral arrangements for the wedding. After meeting up with the florist, Angela, she was very sweet and understanding. She knew I just wanted 6 bouquets, 9 boutonniere, and 3 wrist corsages. To my surprise that already added up to $950 (in comparison to my sisters, there were some price increases on these items). At least I get a lot of free things thrown in. Got to get what you can out of this wedding industry! 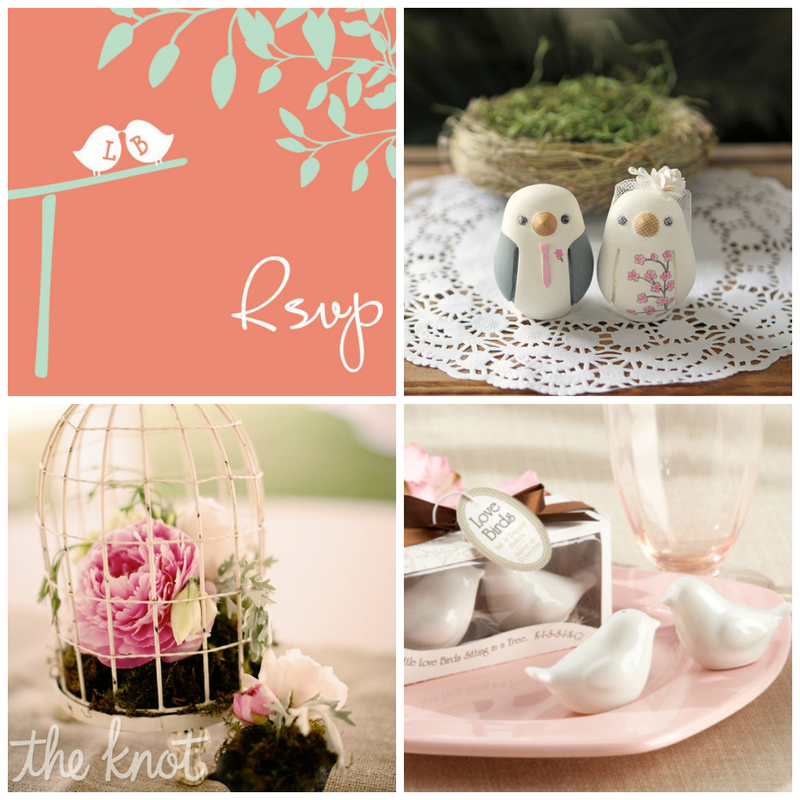 This isn't a necessary vendor but it makes a wedding a lot of fun for your guests! It is a popular addition to weddings nowadays. You get to keep awesome, fun pictures of yourself and your guests throughout the night. I had a lot of requirements in my search for a photobooth. I wanted a booth style setup instead of open air setup. Which means you still get that classic and private feel of being in a closed booth/room to pose with your friends. We wanted the classic vertical strips too. High quality photos with a backdrop design we liked. A nice logo design at the bottom without an obnoxious company logo. Under $1000, providing photo downloads or CD/usb, if possible. It was actually a lot harder than we thought to meet all these requirements. There are so many people jumping on the photobooth bandwagon business that you will find a lot of mediocre packages for high prices too. I found a few I liked but they were over $1000 or too far from my venue. I eventually found the perfect vendor, Amazebooths, that fit all my requirements but unfortunately they were booked already!! Wow. Another disappointment when I am contacting 10 months in advance. I looked at so many options that I was feeling a bit defeated. In the end I found a vendor through a facebook advertisement, Inside Out Booth. The look and feel of it was not what I had hoped for, but the package and price was perfect so we went for it. $750 for a 3 hour rental. Their quality looks good, and they had a background I liked (it costs extra but they agreed to my request to include it for free!) Unfortunately they were 4x6 pictures and open air booth, so it is a trade-off. I am able to make my own logo. I believe their logo will also be on it, hopefully not too intrusive. And this vendor (along with Amazebooths) were the only ones that offered UNLIMITED photos. Meaning your friends can print out as many copies (however many people were in the picture) each round. Most vendors only offered two pictures and that was it. How are you supposed to share if there were 10 people in the group photo?! I didn't like that if I was paying $1200+ for a nice photobooth. Inside Out Booth also offers photos for download on their website. What I forgot to ask was if they could include a USB/DVD of all the high-res photos for free. Hopefully I can still ask later. They also provide cheesy props. I'm planning to just decline their props and make my own cute and themed props as a craft project. This was a really lengthy posts but it pretty much sums up my entire wedding vendor planning. All the ups and downs I experienced from this crazy journey. Now that the boring parts are done, I can focus on the parts of the wedding planning I enjoy, sweet decor! I like Chicago Wedding Venues. I went here for a party last week. This was the first time I've been to this place and I was totally blown away.